I’m Christina Byrne and I have been teaching fitness for almost 20 years. I began as an apprentice to a master Pilates teacher in 1999 and have taught just about every group fitness class format since then. 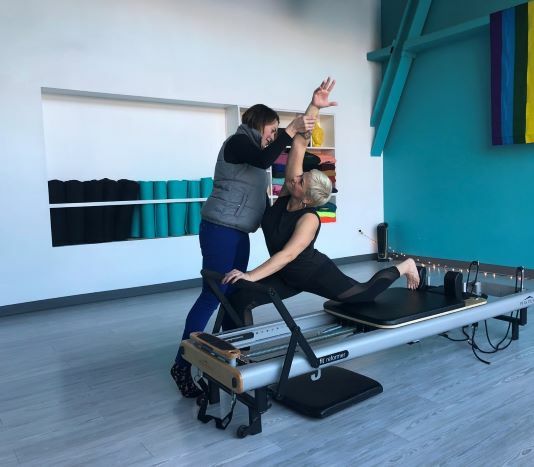 I will be offering Pilates personal training using the Pilates Reformer, as well as exercises on both the Pilates chair and on the mat. The possibilities are endless with this work. It's perfect for anyone looking for a no-impact way to strengthen and tone their body while improving flexibility and balance.